Find style and comfort with the Turino Sisal Sofa. Relax in this rolled-arm 3-cushion sofa featuring 4 large toss pillows. 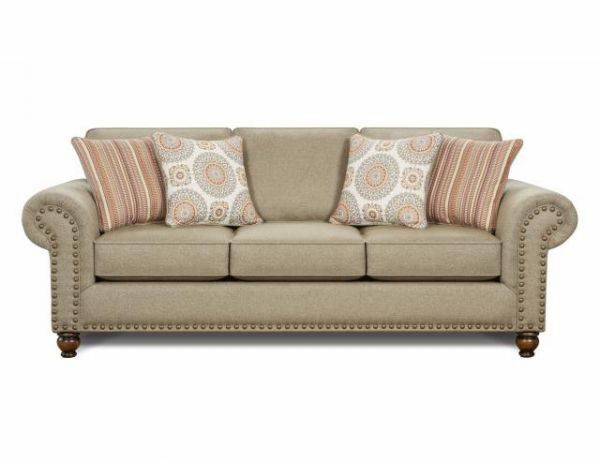 Its beauty is accentuated by the turned legs and distinctive nailhead trim.